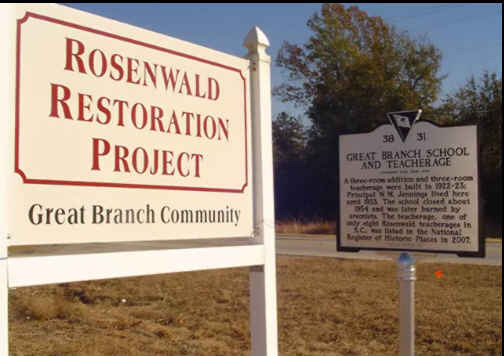 The Great Branch School and teacher's home was built under the Julius Rosenwald Project. Mr. Rosenwald was the president of Sears and a well-known philanthropist. Booker T. Washington asked if he could use some of the funds that Mr. Rosenwald had given to Tuskegee Institute to build a few schools for Negroes. He was granted permission and built six rural schools in 1912-1913. This initiative was so successful that the Rosenwald Project was born. A foundation was established and communities in 15 states - mostly rural- were allowed to receive matching funds to establish a school in their community. Prior to this building project, Negroes were educated in churches or people's homes. The Great Branch School was built in 1922 - 1923 at a cost of $2550. The teacher's home, one of only eight built in South Carolina in 1924-1925 at a cost of $2650. Today, only two of the eight are still standing. One is on the campus of South Carolina State University, and the other is in Great Branch. The home was built to house the principal and teachers who were employed by the school but lived too far from school to commute on a daily basis. We have records showing that at least three principals lived in the home. In 2007, the house was listed on the National Register of Historical Place. 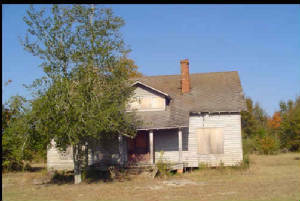 The National Trust for Historical Preservation has partnered with Lowe's to fund the preservation of Rosenwald schools and associated buildings. The Great Branch Teacher's Home received a $50,000 Lowe's grant to help with the roofing project. A $5,000 Alice Rosenwald grant assisted with the foundation work. County Council has allocated $25,000 and the South Carolina State Budget and Control allocated $25,000 to assist with the planning for the $350,000 project. 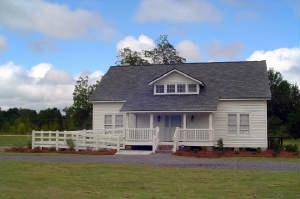 The project is located along the South Carolina National Heritage Corridor and houses a Welcome Center with artifacts from the home and school, a room for seniors to meet and receive screenings and information on health and wellness, and a computer room to provide access for job applications and employment searches.